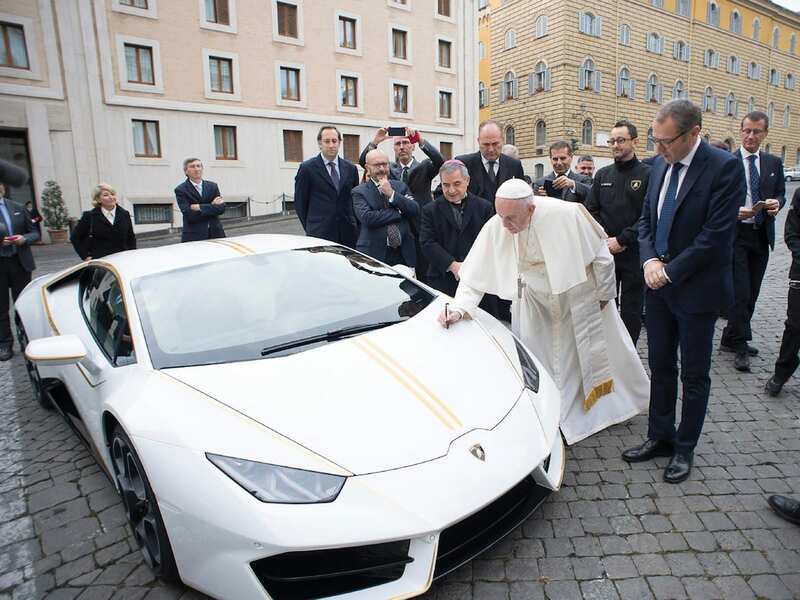 After the head of the Catholic Church, Pope Francis, was gifted a rare limited edition of the Lamborghini Huracan RWD last year, he is now putting the signed vehicle up for auction for charitable purposes. The custom made ‘Popemobile’ is a work by the creatives from Lamborghini’s “Ad personam” program. In the presence of Chairman and CEO Stefano Domenicali, other board members and two employees, who have worked on the limited edition, Pope Francis received the car last year. 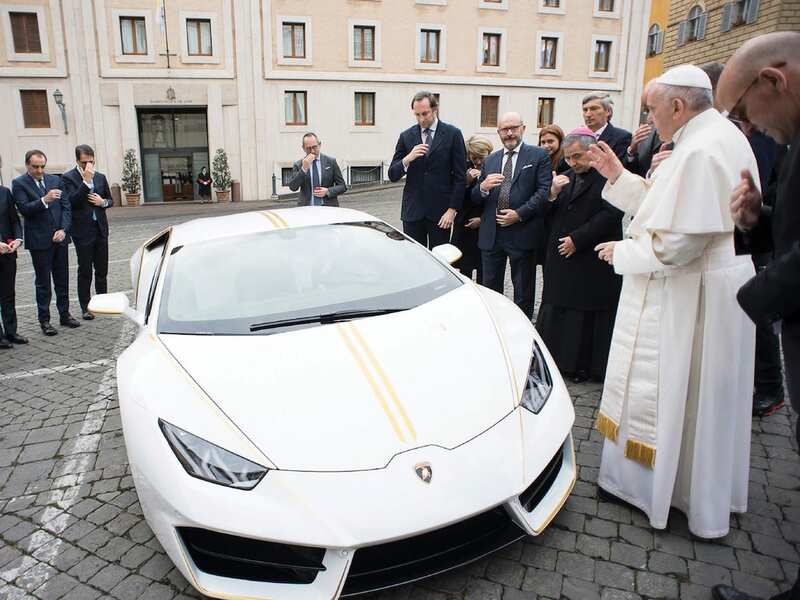 However, Pope Francis could not refrain from giving his Huracan its final touches. The highest bidder can look forward to a signature of his holiness on the hood and a blessed vehicle. 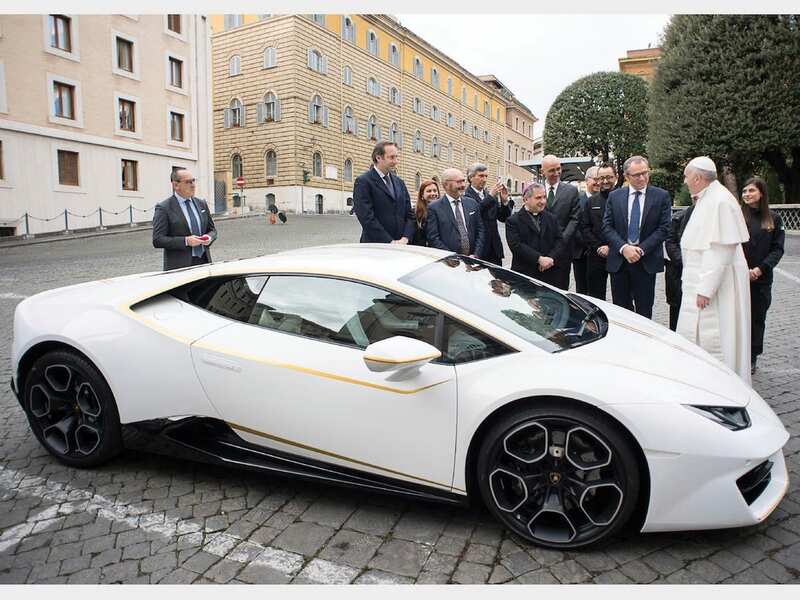 A Lamborghini Huracan from the Pope? Priceless! 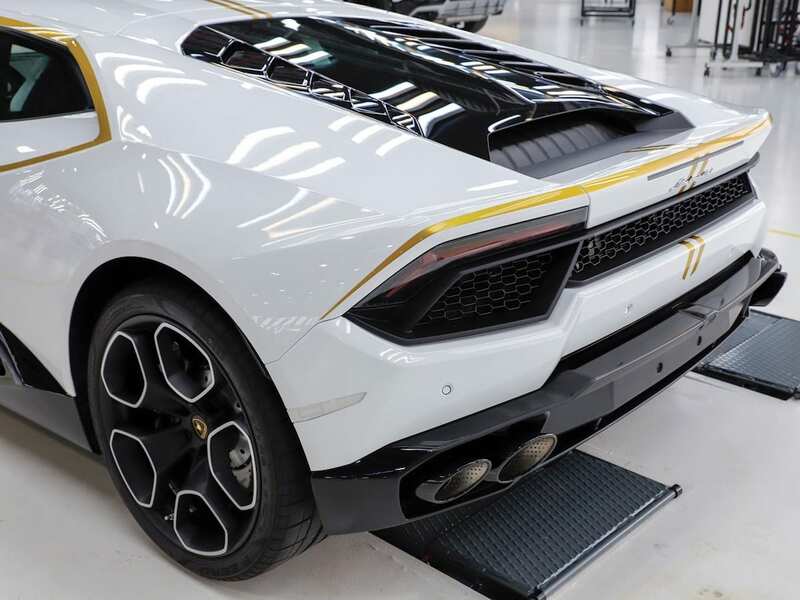 In addition to the naturally aspirated 5.2-liter V10 engine, which generates 602 hp, the snow-white Huracan shines with 20-inch Giano wheels and black calipers. Anyone who remembers what the Vatican flag looks like will quickly recognize that the car’s color scheme consists of exactly those two colors. 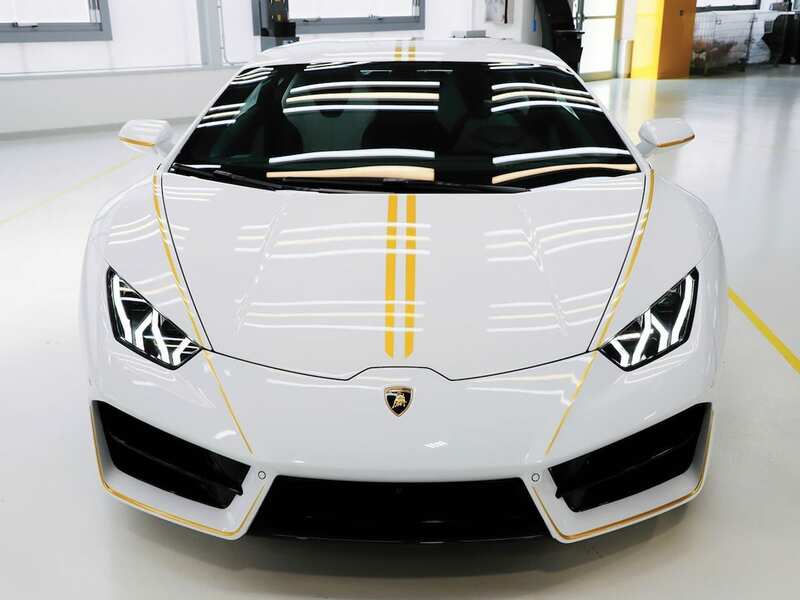 Two stripes, running up the hood across the roof and adorning the car’s contours in Giallo Tiberino, create subtle accents on the white paint in Bianco Monocerus. 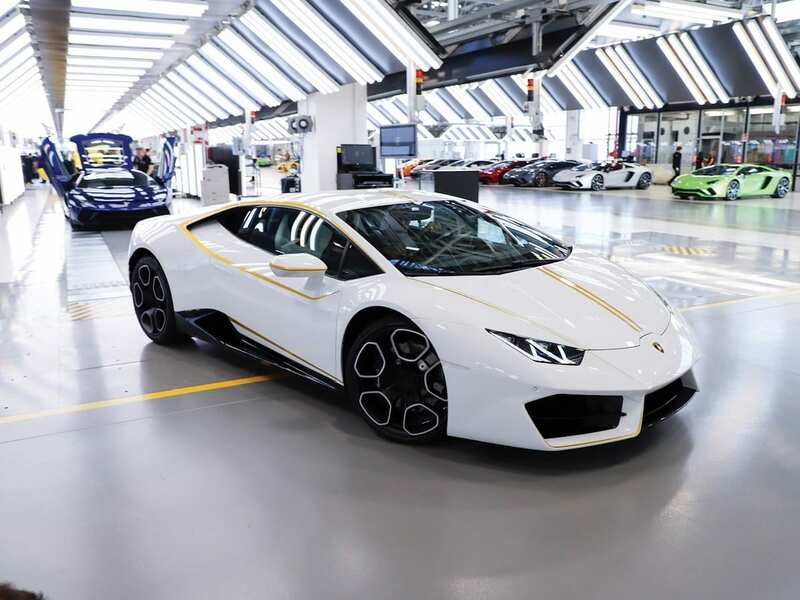 While a Huracan RWD usually costs around 180,000 euros, RM Sotheby’s expects to sell it for about 250,000 and 350,000 euros. All proceeds from RM Sotheby’s auction will be for the benefit of charity purposes and organizations. A total of 70% of the profits goes to Nineveh, Iraq, the city that was besieged and heavily attacked by the terrorist organization ISIS. 10% flow into “Amici per il CentrAfrica Onlus”. An additional 10% each will be for the benefit of “Groupe International Surgery Amis de la Main (GICAM)” and the “Pope John XXIII Community Association”.